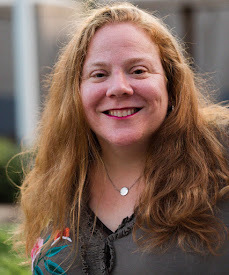 So far I've shared my summer reading plans with you, and I've shared some books I think you should read this summer, and now I figured, eh, why not talk about my all-time favorite books? You know the kind. The ones that you have a hard copy of and won't get rid of because you know you'll either want to read them again or, more likely, share them with your child when she becomes an adult and needs to really read the best books of ever. Because, well, she's seven now, and surely by then there will be a million more best books of ever, so you can't let anyone forget your favorites. Whew. That was a mouthful! And so, here's a list of some of my faves of all the books I've ever read. The Red Tent is a book that is well worth the read. This book might be the first book I think of when someone asks me to recommend a book that is one of my favorites. It's got so many aspects of biblical history turned into a novel and it's not heavily weighed down despite all of that. Does that even make sense? I hope so! 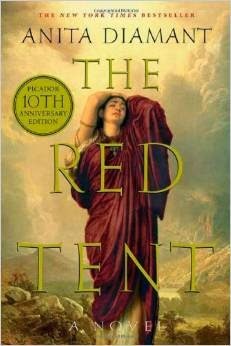 The Red Tent is written from the perspective of Dinah (Jacob's daughter) and focuses on the women of the Bible. It's passionate and feminine. It's intense and powerful. I read it a long time ago, and when I read it again several years back for a book club it did lose some of its luster. It just was a weird book club book. It's not the kind of book I really WANT to tear apart in a discussion like many a book club is wont to do. And so I'll leave it in my memory as I prefer it. A fantastic read by a powerful writer. You guys? This? This is the funniest book I have ever read in my entire 41 years. Seriously. 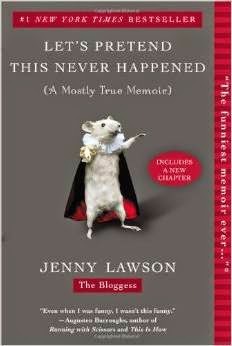 Jenny Lawson, aka The Bloggess is just too much. I read this book a few summers ago and was attending a class when I pulled it out during lunch break and found myself wiping away tears and trying not to guffaw like a lunatic. I came close though, my friends. Seriously. It's so freaking funny. So much laughter. Tears, too. It's amazing. You need to read it. End. Of. Story. Can I say seriously one more time? Because I will. Just get it. You must. It's the book that I recommend when anyone says they need a light and funny read. Because this is it. So don't say I never told you anything important, m'kay? Sarah's Key is one of the best books I've ever read. Without a doubt. It probably doesn't show up as my number one recommendation because it's really quite serious. It's intense. It's phenomenal, but it's sad. Very sad. Tatiana De Rosnay is an amazing writer. 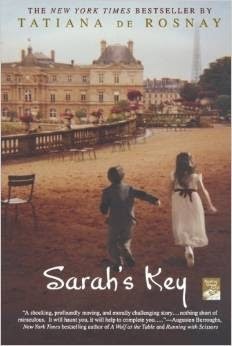 Since Sarah's Key I've read some of her other works and they've been amazing reads. I really enjoyed A Secret Kept, but this one will always be my favorite. I honestly don't think that there are words to truly describe the story. I know I once tried giving it a go, but wound up mostly talking about my family history. And now I'm sort of stuck. But either way, trust me. It's a powerful read you'll want to pick up if you have not done so by now. 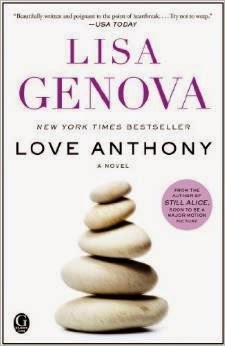 This was definitely a difficult choice because I have absolutely loved all of the Lisa Genova books I have read. From Still Alice to Left Neglected, she's got such a way with words. Her characters are real AND realistic. How I separately define the two - I don't know, exactly. Love Anthony is such an amazing story. The way Genova intertwines two stories and connects the characters is so beautiful and touching. It carried an emotional tone that didn't throw you or lead you to find it far-fetched or sappy. It just ... WAS. I briefly reviewed Still Alice many years ago. The post is short, sweet and not the best of my work, as I had barely been blogging a few months, but it's to the point. As is the author. Her writing style is one of my favorites, for certain. I think whichever book of hers you decide to pick up you'll find yourself wanting more and buy or borrow the other two, too. So, there you have it. The top four books I've read that I think you should read also. 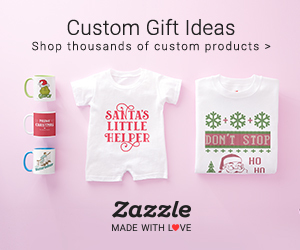 Have you read them yet? Read these authors? Never heard of them? Let me know. And if you like this book-related installment of Amazing Reads, let me know if you'd like me to keep these up. 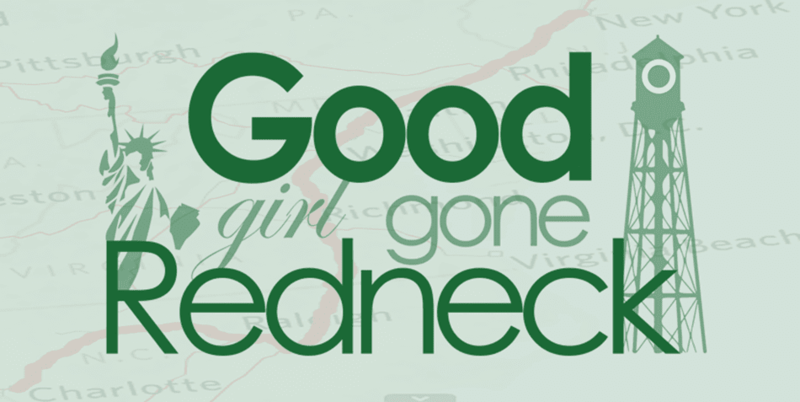 Maybe next week I'll have the time to go back to scouring the Internet for amazing blog posts and articles. Have one of those? 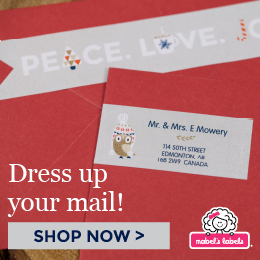 Email the link to me! I'm waiting to hear from you. I actually haven't read any of these! I have heard good things about Sarah's Key, though. And of course The Bloggess's book. My head hurts trying to figure out what I'd say as my favorite books ever. I never get tired of reading lists and finding gems that others love. Thankyou for this! I have Sarah's Key, nust haven't read it yet. Thank yoymu so much for sharing your list, they all look so good. Those all look fantastic! May have to add a few to my own summer reading list! I've only read The Red Tent. It is one of my all time favorites too. Most of the others are on my TBR list, especially Still Alice. I've read all but The Red Tent. It was on my to-read list in university! I should totally get on that!